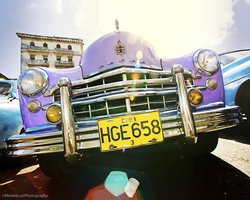 CARHAVANA, a joint US-Cuban photographic collaboration between US photographer Melani Lust and Cuban photographer Brayan Collazo featuring large scale photographs of Classic American autos of the 1950s, opens in Havana on May 8th, at the Deposito de Automoviles (Auto Museum of Havana, Cuba.) The exhibition is sponsored by the Cuban government and is a cooperative effort indicative of the recent thawing of relations between the two countries. We were impressed with the level of cooperation of both governments. The Cuban government was swift and accommodating to our needs. We hope that this exchange will continue to grow. Initiating a rising wave of cultural exchange with Cuba, US photographer Melani Lust will be arriving in Havana on May 8 for the opening of her joint exhibition "CARHAVANA." 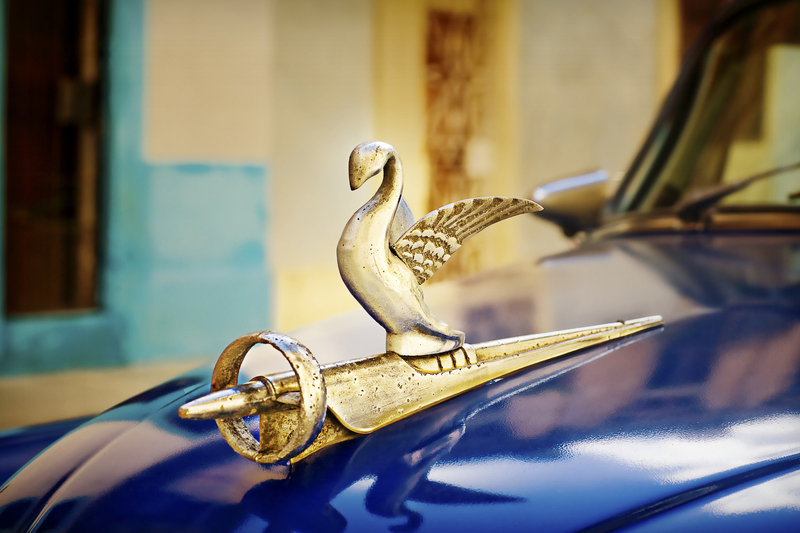 The exhibit, a dynamic depiction of the classic pre-embargo American marquee cars still on the road in Havana, is a collaboration with the Cuban photographer Brayan Allonzo. Lust and Allonzo will be exhibiting 30 large scale photographs taken together in Havana in January, 2009. The exhibition is sponsored by the Cuban government and is a cooperative effort indicative of the recent thawing of relations between the two countries. "We were impressed with the level of cooperation of both governments. The Cuban government was swift and accommodating to our needs. We hope that this exchange will continue to grow." Melani Lust bases her photography business out of her studio in Westport, CT. The exhibition runs from May 8th to June 8th at the Deposito de automoviles in Havana, Cuba. Artist's Statement: As a girl, growing up in Southern California, Melani acquired an affinity for the elegant lines of the automobiles of the 1950's and 1960's. While in Cuba in January to photograph a book about Cuban children's games, Melani met Brayan Collazo, who had been seeking an American photographer for the upcoming automobile exhibition. "I could see immediately that our unique styles would make for an exciting exchange of ideas. When Brayan asked if I would like to photograph details of these classic autos for a joint exhibition, there was no hesitation, I was thrilled!" said Melani. Her photographs bring out the characters of each auto with new appreciation for history, craftmanship and technical skill of the owners who have kept them so well preserved. In the midst of modern technical advances, the beauty of these autos remains without parallel. 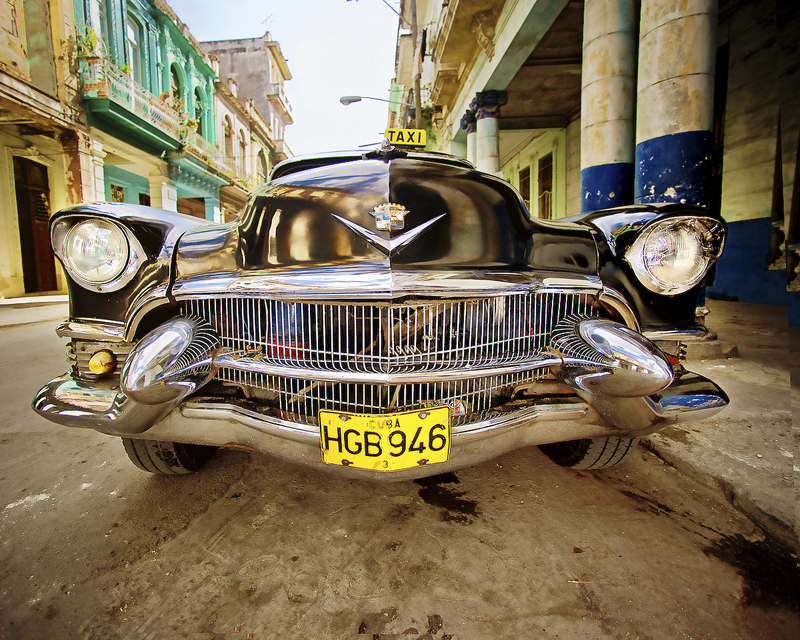 "On seeing the incredibly preserved autos in Havana, my heart began beating as if I was an adolescent, again. Each of these cars has a story to tell, with such unique histories and each so lovingly restored by their talented owners. In photographing the cars I felt connected to each as if they were organic, each with an essence so distinct and with details so revealing of their personalities," reported Melani. With every mile driven, every ounce of wax applied and gallons of gasoline and oil consumed, these cars have a story to reveal as distinct personalities in their own right, each with its own destiny, and unforgettable character. Their passengers and drivers have lived in Cuba. In celebration of the 50th anniversary they serve as a fitting representation of that which we have all seen and experienced. They remind us of the roads we've taken and those left to travel. Melani offers, "In the reflection of the mirror-like paint I see Cuba's past, lovingly detailed, but I imagine the future, the gleam of hope and the elegance of tomorrow; a history preserved and a future to forge." For a glimpse of Melani's photographs for this show, please see http://www.melanilustphotography.com/data/web/HavanaClassicCarExhibit/index.html.